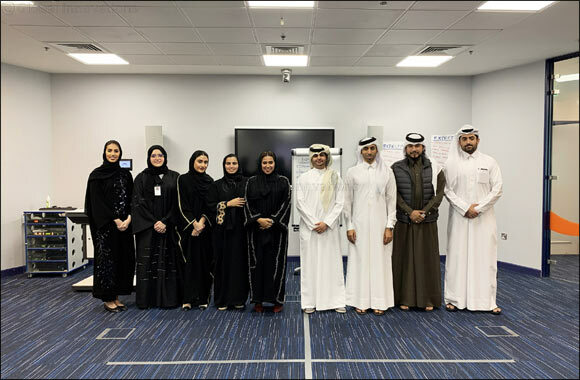 DOHA, Qatar, 04 February 2019: Qatar Financial Centre (QFC) partners with QFBA to runs the pilot program for the first batch of generation 2030 in pursuit of offering the best in class financial courses to Qatari executives and new age professionals. The program, targeting new joiners as well as employees who have been on the job for up to three years, will help professionals master the latest trends and challenges in the financial sector and thereby allow them to further hone their skills. The Training modules will be spread over four to six months, with coaching and mentoring in between. The pilot session of this program took place at QFBA and involved participation of Qatari employees from all QFC entities. “The QFC is dedicated to supporting the development of professionals by creating the framework that facilitates and enables their long-term professional growth. We are therefore delighted to host the pilot session of Generation 2030, which closely aligns with our commitment to take our investment in human capital to the next level”. “The “Generation 2030” program has been launched after identifying the needs within the economy in general and the specific needs of the relevant organizations to design a product that they deem fit for their organizational growth. The aim of this program is to prepare our future generations for the utmost uncertain environs and that’s exactly our program plans to achieve”. “Today, we are happy to take the program into effect with QFC’s team members as we encourage other local stakeholders to join us on the mission of equipping our young generation with all the skills and tools they need to excel in the financial sector in Qatar”. The new program underlines QFBA's commitment to contribute to the development of a knowledge-based economy in Qatar and to strengthen corporate competitiveness in the region. It serves as a blended learning solution that delivers financial knowledge, self-management, guidance and business etiquette. “Generation 2030” is supported by selected certified trainers who are on board to arm the participants with all needed requirements.